Discussion in 'iPhone and iPad Games' started by stfj, Oct 13, 2016. Stoked for this! 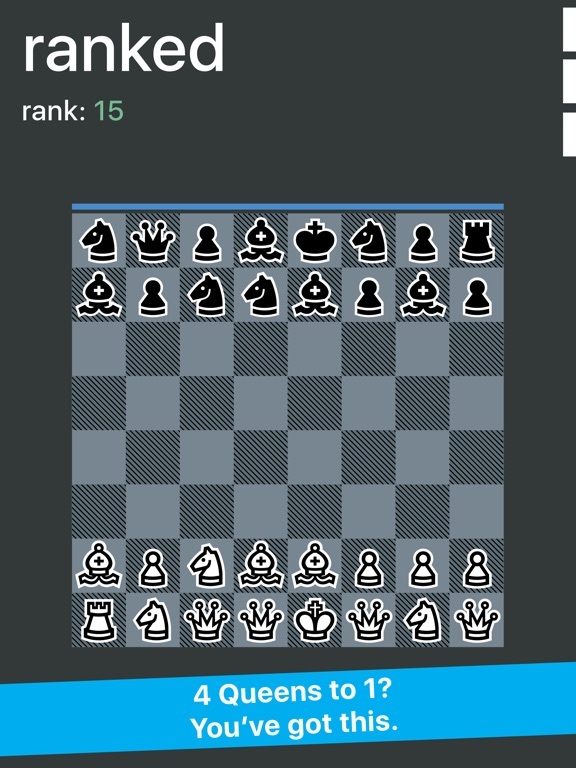 I'm awful at chess though, should be fun. It's still propagating. Should be available to you depending on your region right now or shortly! I'm on the US east coast and it's in the store. Click the link on this thread and it will show up. I couldn't search for it either. It's just as good as I hoped it would be. Zach Gage is like the Valve of iOS. 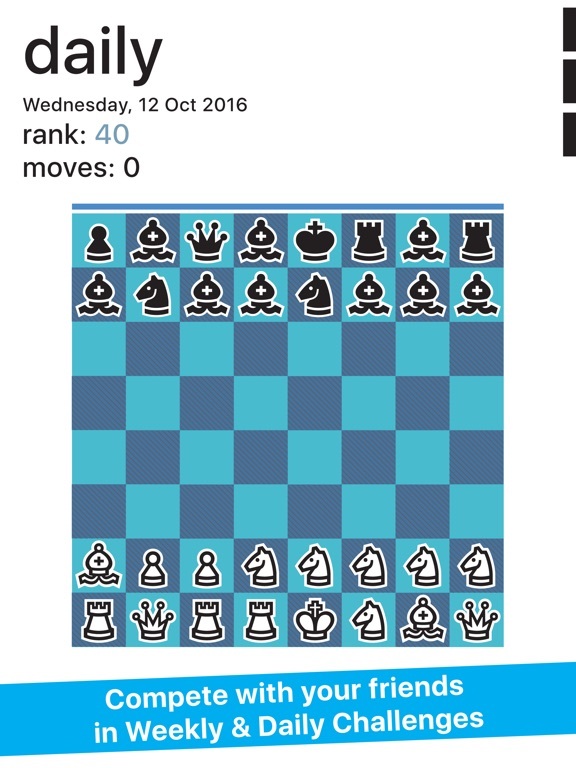 Nice innovation to the classic game. 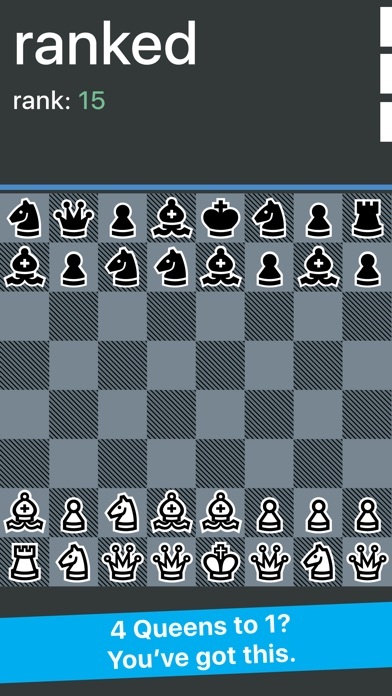 If I'm not mistaken, pawns look like the biggest swaps, correct? not 100% sure what you mean fio — Do you mean that the biggest difference is in the front row? If so, I think it certainly seems that way at first. Having powerful pieces right away really changes the opening. But definitely the back row changes are significant as well. 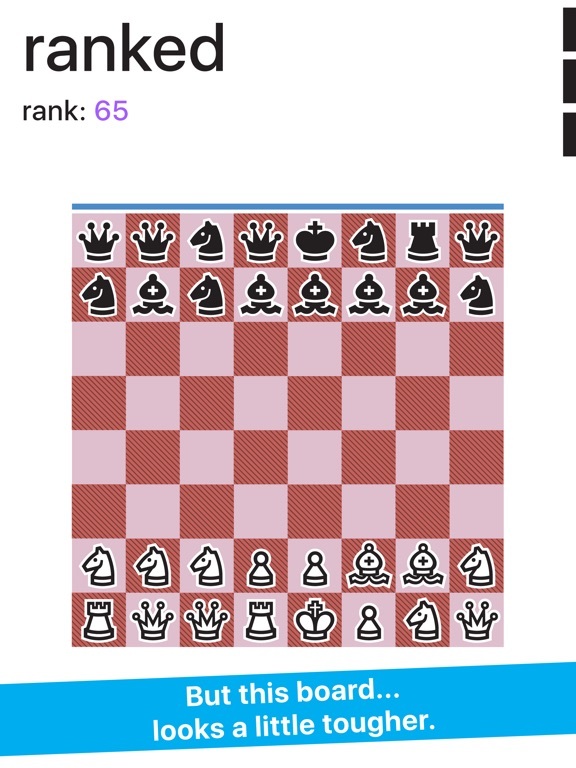 Chess is sort of neat that way. 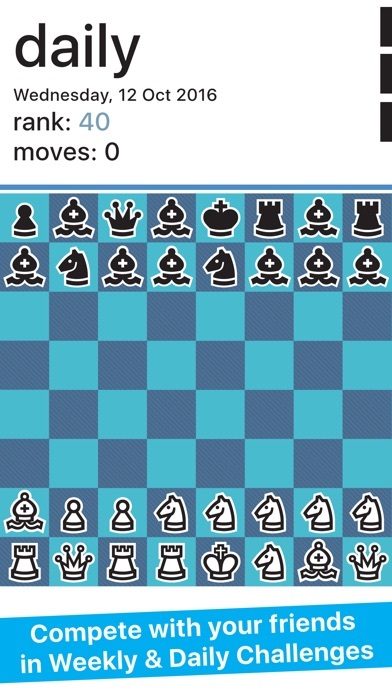 Did you mean to post on the Moveless Chess page? 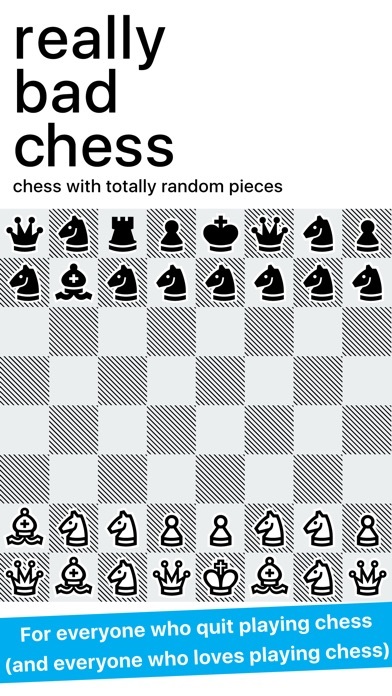 As someone who really enjoys classic chess, and has enjoyed several modern takes; this looks great! Yay! A game that will hold my attention forever most likely. not 100% sure what you mean fio  Do you mean that the biggest difference is in the front row? If so, I think it certainly seems that way at first. Having powerful pieces right away really changes the opening. But definitely the back row changes are significant as well. 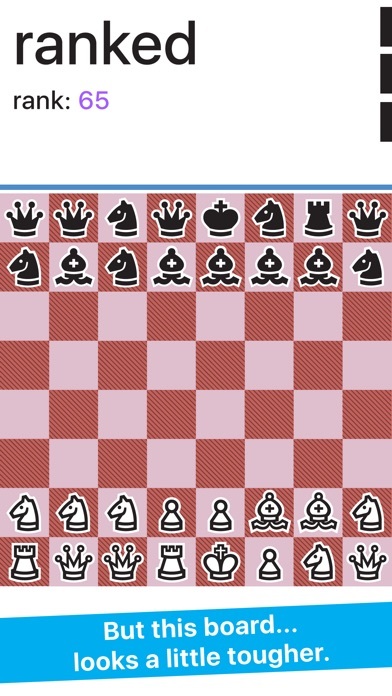 Chess is sort of neat that way. Thanks Fio! So happy to hear everyone is enjoying the game so far! Paid for the full game unlock. 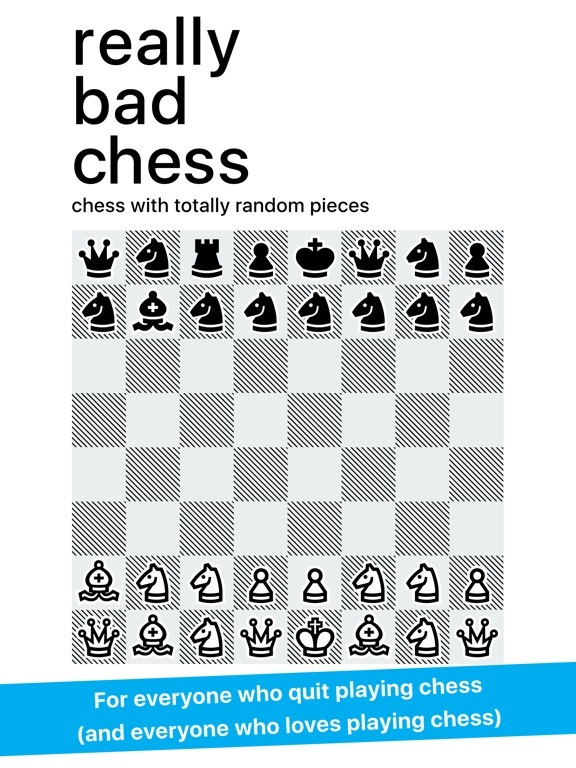 "Really Bad Chess" is a really good game! Any chance for asynchronous multiplayer? 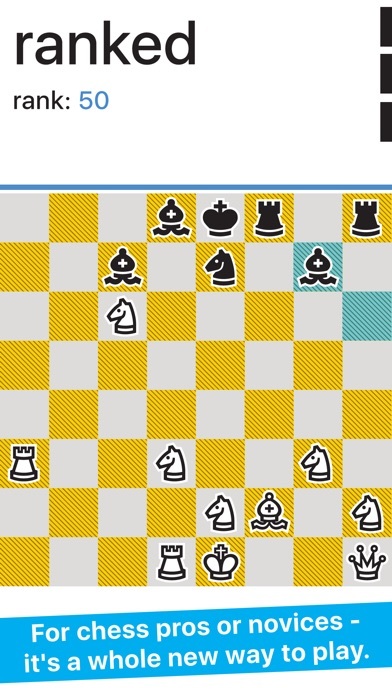 There's a chess where you mix all your pieces up. Forgotten name of it. This is quite a clever idea because sometimes we do like the loaded edge, the challenge of using strong sides effectively, or an atypical side. 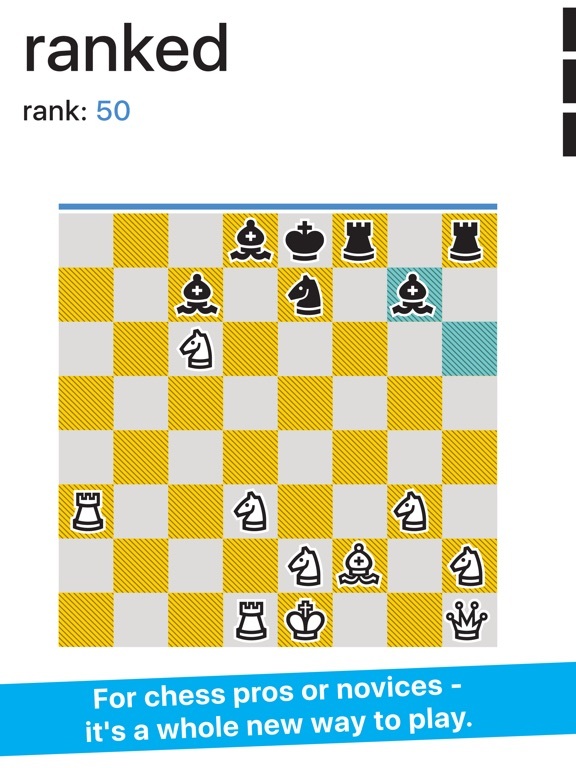 And the name for this is a master stroke 'really bad chess'.